This is a recently discovered location that I have frequently headed for at or just before sunset. 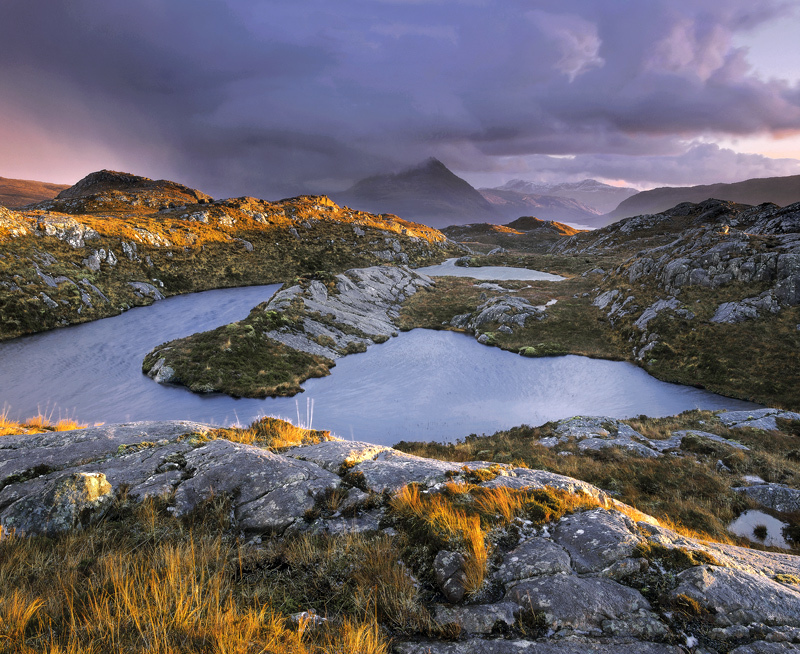 It offers a wild and apparently lofty view toward the Torridon peaks yet is accessible within 10 minutes walk rather than the usual three hour lofty clamber that is so often associated with a view of this type. On this occasion I was fortunate sunset and a winter squall combined to give an astonishing quality to the light with real tangible ephemeral mood. It might be a while before I improve upon the light I witnessed on this occasion but doubtless I will try.